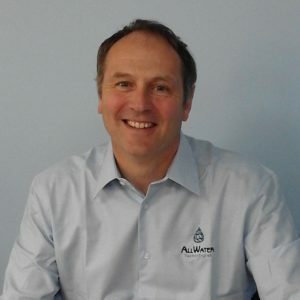 AllWater Technologies are delighted to welcome John Towle to the team as Sales Manager. John adds further significant depth of knowledge and skill to the company, bringing with him almost twenty years of experience within the industry across a range of roles including Technical Sales, Project and Field Service Management. At leisure, John is an avid rider, employing his natural horsemanship skills not only with his own steed but as Chair of his local Riding Club. John has also found time to achieve a lifetime ambition in gaining his pilot’s licence and most recently, to record a single with his band! His new role will certainly see him ‘flying’ around the country in support of existing and new clients and we are confident that he will be a great asset to our growing offer. We wish him every happiness and look forward to a long and successful career with us.